Iran has long been known as a center of civilization, culture and fabulous architecture. In ancient times, the region was known as Persia, one of the greatest empires of ancient history, which stretched from North Africa and Anatolia, to the Middle East and the borders of India. For those who are able to visit Iran, the country offers tremendous landscapes, natural beauty, history and architecture. 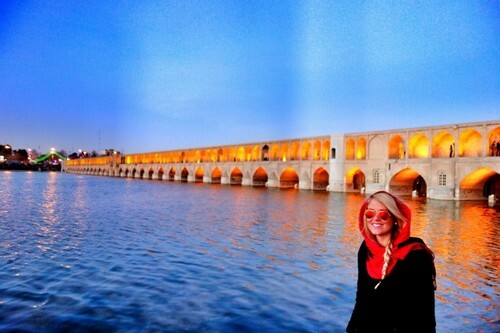 Here is a list of 10 great cities, towns and best places to visit in Iran. Tehran, the capital of Iran, is the first and most obvious place to visit. Located near the ancient city of Rayy, Tehran is a large, sprawling city of concrete buildings and traffic. 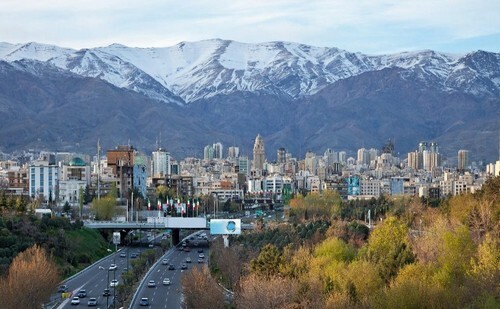 That said, Tehran is also situated against the backdrop of the beautiful Alborz mountains, which are a great place to go skiing or hiking. The proximity of the city to the mountains means that it is easy to get away from the chaos and confusion of the city and clear our minds while taking in the beautiful view and snow-capped peaks of the Alborz. Tehran has a population of about 11 million and accounts for more than 40% of the nation’s economic activities. The city is home to a number of parks, such as Park-e-Jamshidieh, Park-e-Mellat and Park-e-Shahr. It is also home to the palaces of Golestan and Niavaran, the famous Azadi Tower, Tehran Zoological Garden and Malik National Museum of Iran. Other features include the Imamzadeh Saleh shrine and the famous, historic Grand Bazaar of Tehran (called the Bāzār-e Bozorg). The great city and province of Esfahan (also spelled Isfahan, from the Middle Persian Spahān) is one of the most important and historic cities in Iran. Located some 420 km south of Tehran, it is the third-largest city in the country and had a population of 1.4 million (as of 2004). The city has a number of a Safavid palaces, as well as beautiful mosques, squares and other architectural features, which make Esfahan the jewel of Iran. These splendid monuments to Islamic and Persian architecture include the Sheikh Lotfollah Mosque, the Shah Mossque, the Jameh Mosque of Esfahan, Khaju Bridge, the Naqsh-e-Jahan Square, Chehel Sotoun, Si-o-she pol, Hasht Behesht and the Ali Gholi Agha Hammam. In addition, there are a number of non-Islamic religious buildings, such as Vank Cathedral and the Fire Temple of Esfahan. Shiraz, located in the ancient province of Fārs (originally called Pārs, hence the word ‘Persia’), is a city of poets, philosophers and religious reformers. Shiraz is also home to the Arg-e-Karīm—the citadel of Karīm Khān—as well as the tombs of the famous poets Hafez and Saadi. It is also situated near the ancient site of Persepolis, which can easily be visited by bus from the city. Persepolis, once the capital city of emperors Darius and Xerxes from about 550 BCE, all that remains are great towering columns, sphinxes and a fantastic stairway, which has friezes depicting the diverse population of the Persian Empire. The Persian king Karīm Khān Zand, made the city his capital in 1766 CE, until the Qajar dynasty seized the city in 1791 CE. Shiraz has a number of beautiful sites to visit, including the Nasir al-Mulk Mosque, the Vakil Mosque, the Shah-e-Cheragh Shrine, the Vakik Bazaar, Eram Garden, Afif-Abad Garden, the Bagh-e-Jahan Nama, Qavam House, Vakil Bath, the Qur’an Gate, and Pars Museum. Not widely known outside of Iran, Sari is a small town in the lush, green province of Mazandaran on the Caspian Sea. Sari is the provincial capital and is located between the Alborz mountains and Caspian coast. The city is noted for its natural beauty and orange groves and the Badab Sourt Natural Spring. Sari has a number of attractions, such as its Clock Tower, located in ‘Clock Square’ (Meidān-e-Sā‘at), and a number of historic tombs. While not particularly notable, the city is a good springboard for visiting other surrounding cities and towns in Mazandaran, such as Nur, which is on the Caspian coast, Babol (formerly known as Bārforoush)—which is called the “city of orange blossoms”—and Amol. The region is definitely well worth visiting, if only for its verdant scenery and pleasant climate. Differing from the above cities in climate and geography, Yazd is an ancient, desert city in the heart of Iran. Known as the “city of wind towers”, Yazd is famous for its traditional brocade, silk-weaving, and unique architecture. Located some 270 km southeast of Esfahan province, Yazd is hot and dry, being situated between two deserts: Dasht-e-Kavīr and Kavīr-e-Lūt. Important sites to visit include the Bagh-e-Dolat Abad, the Jameh Mosque, the Bogheh-ye-Sayyed Roknaddin, Khan-e-Lari, Alexander’s Prison, the Amir Chakmaq Complex, the Dakhmeh-ye-Zartosh (an ancient Zoroastrian ‘tower of silence’), and the Ateshkadeh (an ancient Zoroastrian ‘fire temple’). Tabriz is located in the north-western region of Iran known as East Azerbaijan Province (not the actual country called Azerbaijan, although they share a common border in the north). Called the ‘City of Compassion’, Tabriz is one of the most historic and important cities of Iran. It also has a number of historic and beautiful sites, such as the Blue Mosque of Tabriz and the ruins of the Rab‘-e-Rashidi University (which is 700 years’ old). Other things to see in the city include the Tabriz Bazaar, Constitution House, Quran Museum, the Arg-e-Tabriz and the Anglican church. The city also historically important as the it included the first post office in the country, as well as the first fire station and first public library. Famous poets who came from or lived in the city include Rumi and Shams-e-Tabrizi. Kandovan is actually more of a village than a city, depending on one’s definition of what a city is, of course, but it merits mention here due to its amazing stone structures. Kandovan, which is located 50km south of Tabriz, still within East Azerbaijan Province, is renowned for its beautiful homes which are carved inside the rocks of a hill. Some of the houses are over 700 years’ old and are still used as homes today. These ancient buildings, some of which have been whitewashed to give a more modern look, are decorated with carpets and fabrics and support communities of roughly 170 families. Kerman is a desert trading city located in south-eastern Iran. It is located to the south-west of the Kavīr-e-Lūt desert. The province of Kerman, of which Kerman City is the capital, is in the arid and semi-arid zones bordering the desert. The core of the city is built of mud-brick buildings along with an ancient and historic bazaar. The city is a melting pot of different ethnicities, including Baluchis from the east. Important tourist sites in the city include the Arg-e-Bam, the Ganjali Khan Bathhouse, the Shah Nematollah Vali Tomb and Shazdeh Garden. Qom is an historic religious center in the shiah Islamic world as it is the burial place of Fātema Ma‘suma, the sister of Imām ‘Alī Rezā. Her tomb was transformed into a beautiful gold-domed shrine which is visited by thousands of pilgrims each year. Qom is located in north-central Iran on the banks of the Rūd-e-Qom (river) and the Dasht-e-Kavīr (salt desert), 147km south of Tehran. Besides being a site of pilgrimage, the city was also significant in the 1979 Islamic Revolution, as Ayatollah Khomeini made the town his seat. Ten kings and roughly 400 saints are buried in the area, so there are a lot of tombs which can be visited. Finally, we turn to Mashhad, the holiest city in Iran according to shiah Muslims, as it is the burial-place and location of the Shrine of Imām Rezā. Located in Khorāsān-e-Razavī province in north-eastern Iran, in the Kashaf River valley, Mashhad has the second-largest population in Iran, after Tehran. The city is largely circular in shape, with religious buildings located in the center of the city and avenues extending from the center into roughly 12 neighborhoods. As Mashhad is a holy city, the shrine of Imām Rezā is the center of city life. Approximately 1.5 million foreign tourists visit Mashhad each year, 23% of whom come from Iraq. However, there are other sites to visit as well, including the Mehdi Gholibek Hamam, Nader Shah Mausoleum, and the bazaar, called the Bāzār-e-Rezā. NJ Bridgewater is an EFL lecturer, writer, poet and scholar of Middle Eastern history and religion. He is also the co-founder and Director of Operations at Msingi wa Tumaini (mwtumaini[DOT]org), which is a charitable organization devoted to helping girls and other vulnerable children in Kenya. He can be found on Twitter @Nicholas19 and you can also follow his blog, called Crossing the Bridge (nicholasjames19.blogspot.com), which relates to religion, history and other topics.